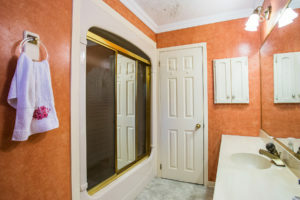 My clients, Claudette and Jair, have raised their children in their family Oakville home for over 20 years. Their children are in university now. 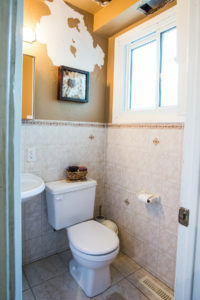 They had been sharing the upstairs main bathroom, as it was the only working bathroom in the house. There is a second bathroom on the main floor that was renovated recently, but there was an issue with a leaking shower, so they stopped using it, and were left with the main bathroom as the primary bathroom. As you can imagine, with four people using the same shower day in and day out, it is going to get warn down over time. 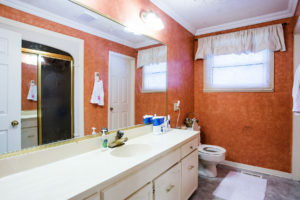 When I came to do my site inspection I noticed that the bathroom was well used, to say the least. 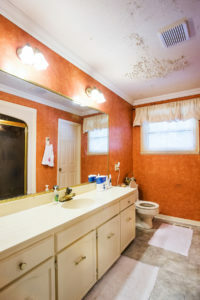 The ceiling needed attention, and the flooring and cabinetry were a little dated. They knew that they needed to do something, and at first wanted to fully redo the entire bathroom. 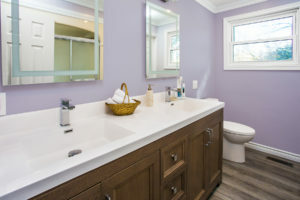 We had our next meeting at the Elegant Bathroom showroom in Stoney Creek, and at that point they were planning on re-doing the entire bathroom. But, being on a limited budget, it was decided that doing it in phases would be better. Although their bathtub was very old, they never had any problems with it, so they decided to keep the existing acrylic tub/shower unit, even though they really wanted to change it. 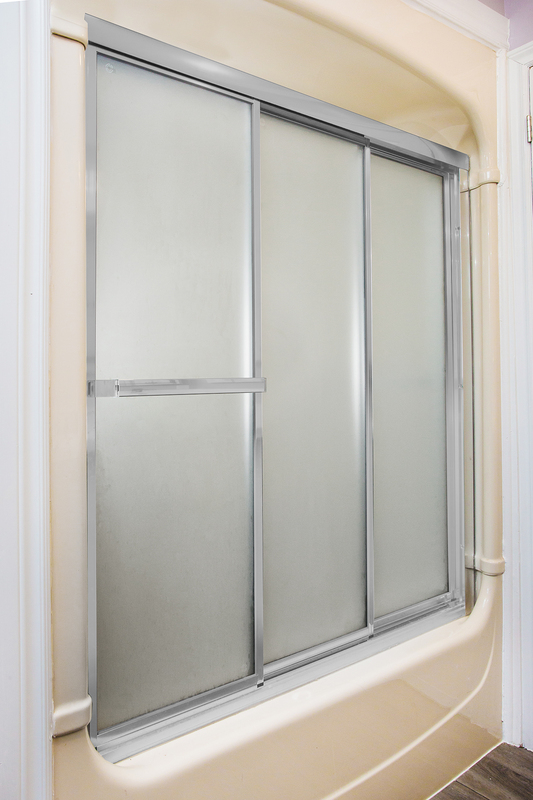 It was decided that changing the Mirolin tub shower door from polished brass to a metal finish would work well with the bathroom for now, to give it some more life. 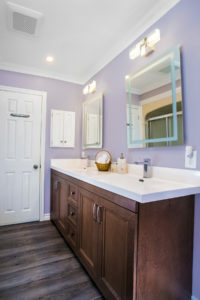 We replaced the single sink vanity with an AHM Designer cabinet, 72” four doors and three drawers. 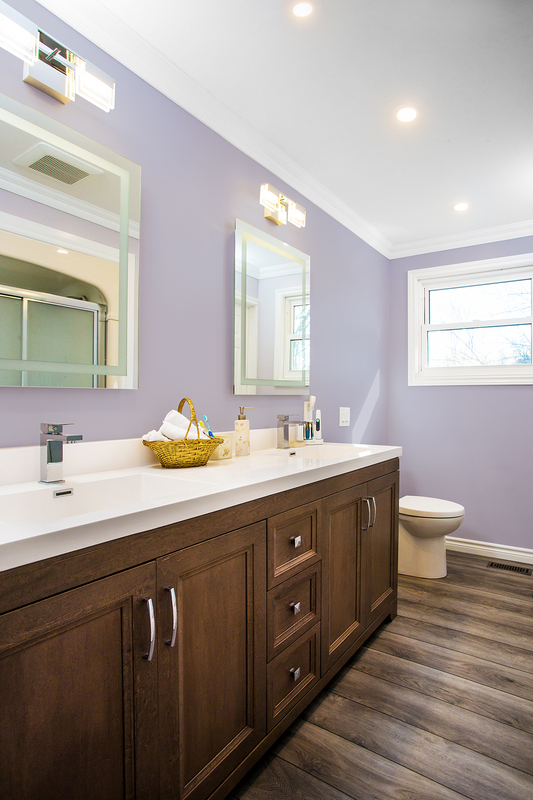 They liked the more modern look, and went with a one-piece white cultured marble top with integrated sinks. 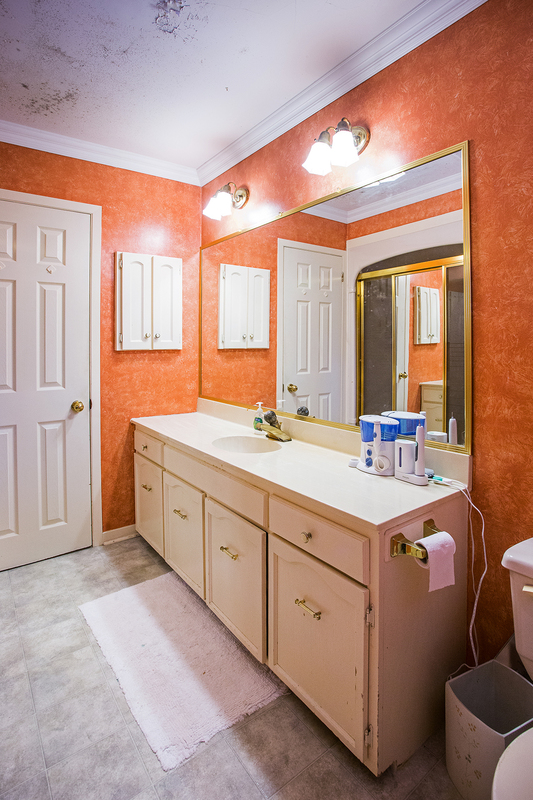 We installed two single-hole Baril Design faucets and two rectangular under mount sinks. 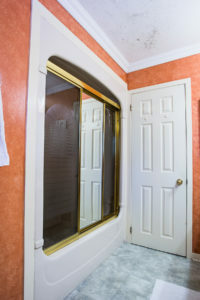 Instead of one mirror, they went with two separate mirrors framed with led lights built into the mirror. 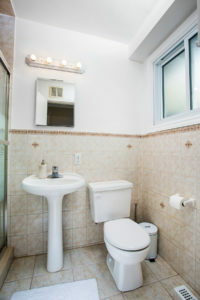 We installed a new luxury vinyl tile floor and an American Standard skirted toilet. Jair and Claudette had a leak whenever they flushed the toilet, which needed to be resolved. We were able to determine where it was coming from, and fixed the leak once and for all, after opening up the wall underneath to get the access that we needed. In order to protect their new bathroom renovation, we installed a new Panasonic fan to remove the moisture and protect their investment. 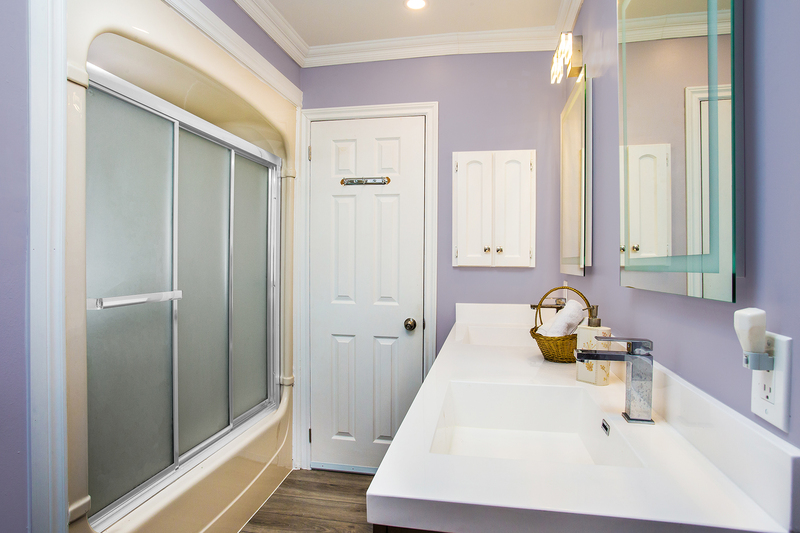 Although they were very happy with the results, as was I, at the end of the renovation they shared with me that they wished they would have redone the tub area as well, and it was agreed that we would tackle that in the future. If you are living with something that you don’t like, but have simply become used to, we can help! Bring us your information and we will be glad to help you make the changes needed to create the bathroom that is everything you want it to be. 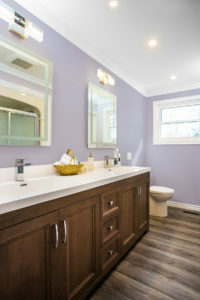 Call us, click here to fill out our form, or come into the Elegant Bathrooms showroom in Stoney Creek today! 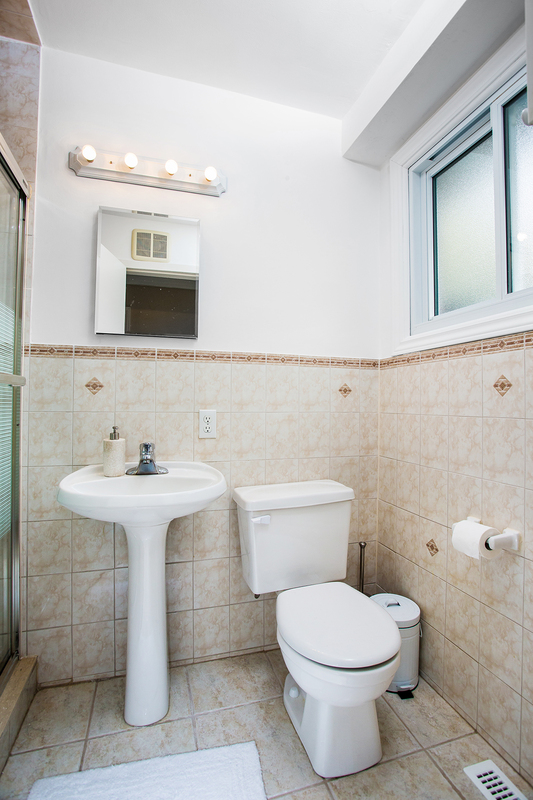 Previous Previous post: Bulkhead or Soffit – Remove or Stay? Elegant Bathrooms was born in Stoney Creek from a burning desire to help everyone achieve their dream bathroom renovation. 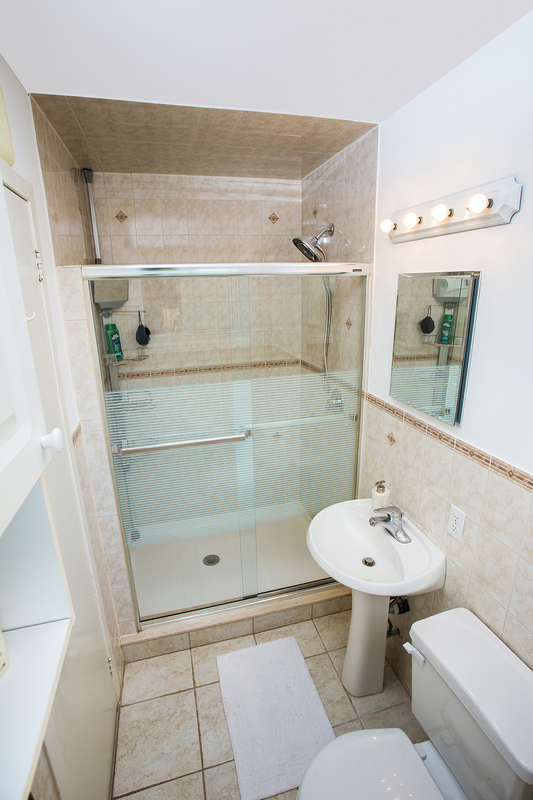 No matter where you stand today, we offer complete bathroom solutions for any situation.